Please note that the artist times shown below are subject to change without notice. This just gives you a general idea for when your favorites will appear on stage. It also means I need to get on the road early tomorrow. Don’t forget to wear comfortable clothes (it gets hot and dusty up there!!! ), bring your sunscreen and drink plenty of water. Enjoy your weekend! 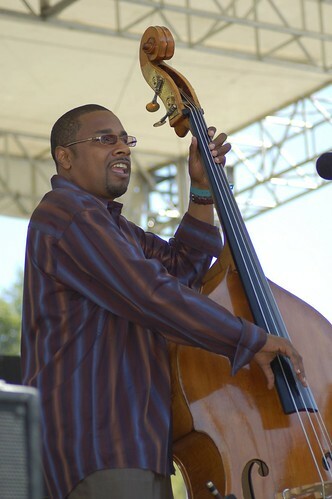 Photo above: Bassist Arlington Houston at the 2006 Russian River Jazz Festival. This entry was posted on Friday, September 7th, 2007 at 6:02 pm. It is filed under Music News/Info. You can follow any responses to this entry through the RSS 2.0 feed.